Our house is a cluttered mess. I think this probably has a lot to do with the fact that I don’t throw anything away. I save just about everything. 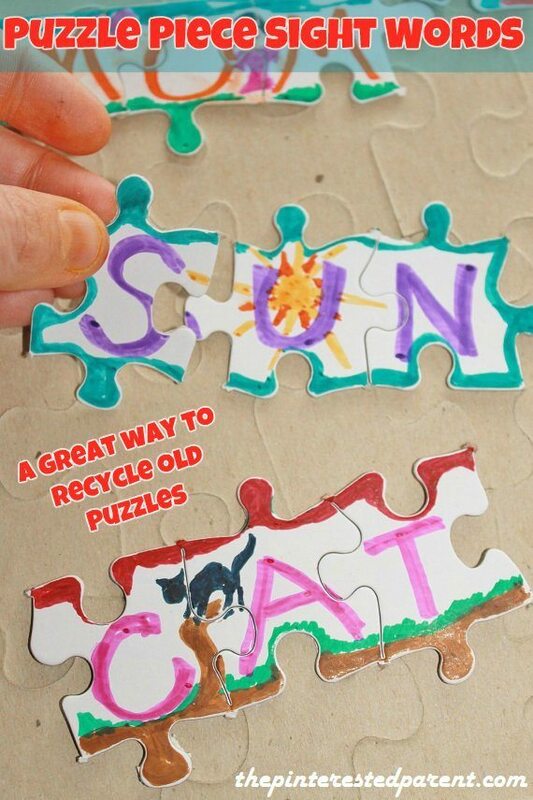 Recyclables make wonderful crafts. I have a bag filled with old puzzles that are missing pieces. I love using old puzzle pieces on our projects. With all of the gardening that we have done this week, it seemed only fitting that we make flowers. 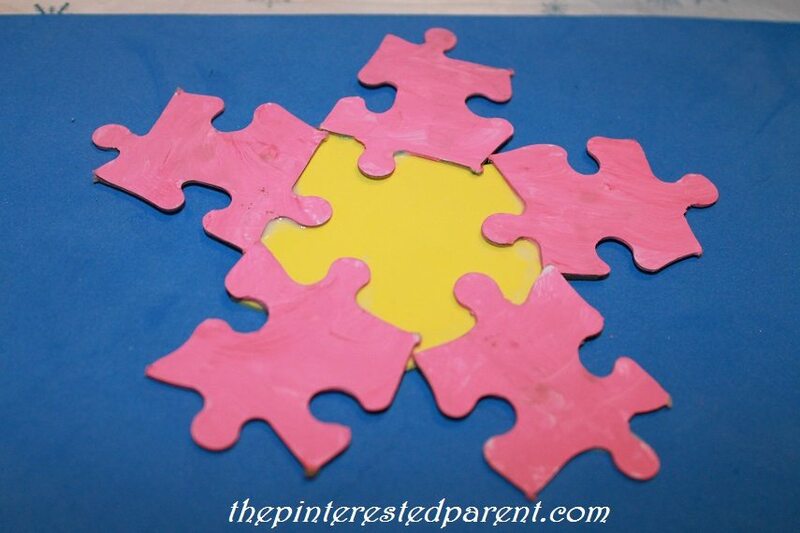 Paint your puzzle pieces on the back side. 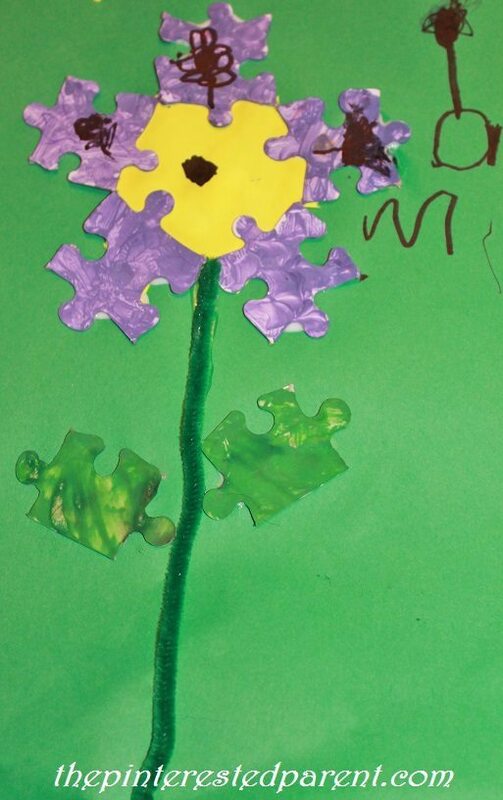 We painted 5 puzzle pieces for the petals & 2 pieces for the leaves. Mai painted her petals in purple & I made mine in pink. Let them dry. 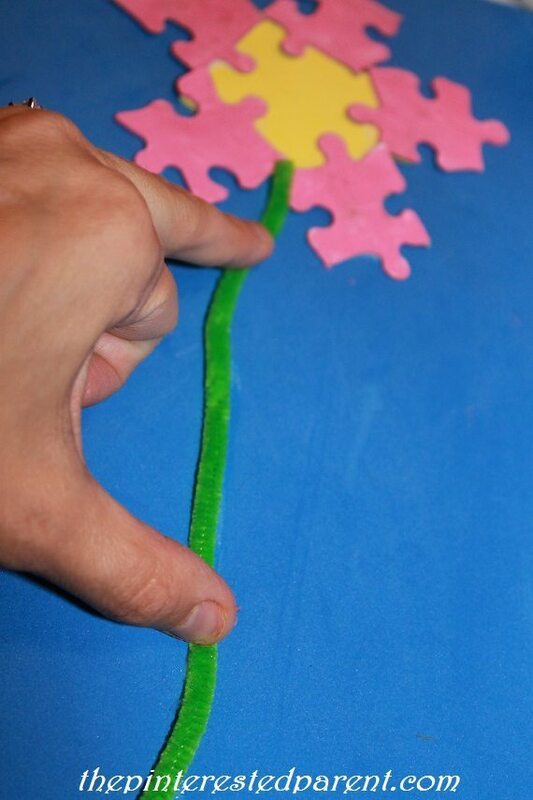 Glue the petals around a piece of construction paper & trim the excess. 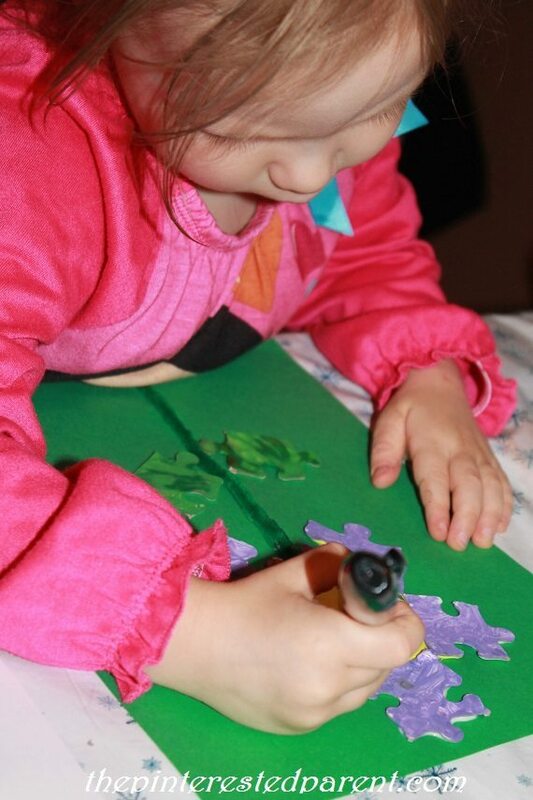 Glue to another piece of construction paper. Glue a pipe cleaner for the stem. 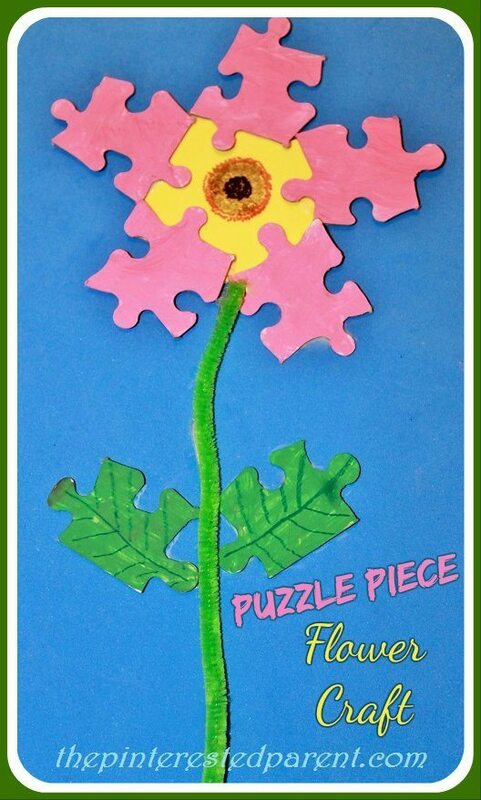 Glue the other two puzzle pieces for the leaves. 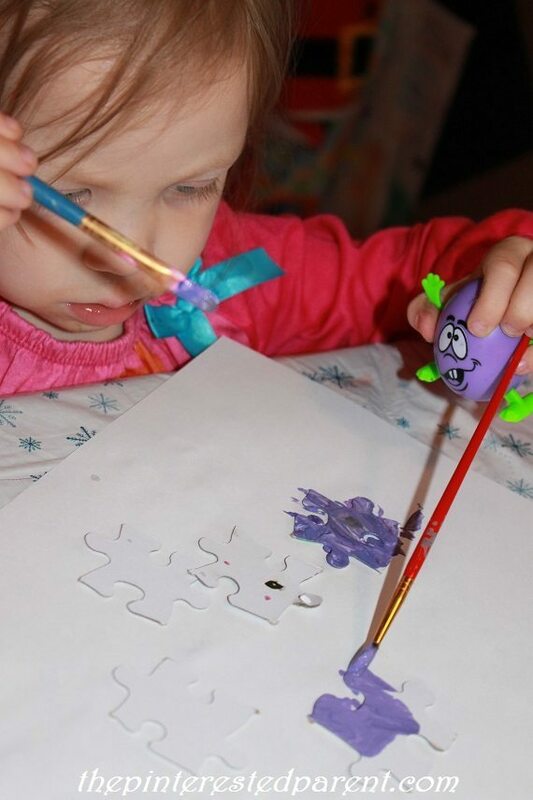 Use paint or markers to add details. 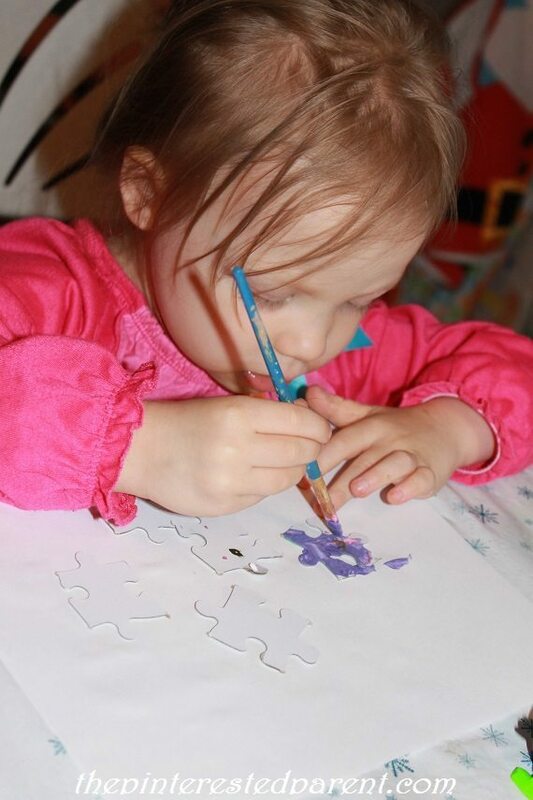 Don’t forget to have your little artist sign their artwork too. I have that “don’t throw anything away” problem too! lol! 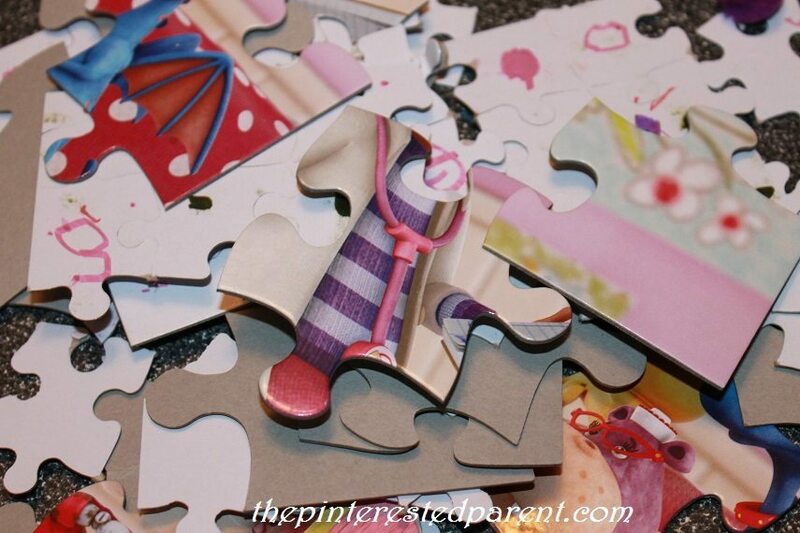 I love how you put old puzzle pieces to good use here! Thank you, Janine. We have a whole bag full. I hate to throw them out. Thank you Emma. 🙂 It is terrible. We are getting ready to move & I am even finding it hard to toss the stuff as we are packing. Lol!